So there I was minding my own business when from nowhere, the rug that was the media job I had for 14 years, had been pulled out from under me in a wild corporate takeover. Shift happens. This was in the spring of 2014. And while I always saw those events as a blessing in disguise, the reality of the matter became a curious tightrope to walk — mentally, emotionally, spiritually. What happens when The Universe very loudly suggests that the you you were being was suddenly being recalled and upgraded and that you really had no say over the matter? Or … that you simply would have to Trust the new path being carved out for you? Type A’s be forewarned: Wear a spiritual bib. Spit-up happens. Needless to say, suddenly, I found myself like many other middle-aged Americans–in the midst of a profound transition between jobs or careers and life direction. A midlife reboot was in order–that I knew. So, being a professional navel-gazing Northern Californian, I did the most logical thing I could: I asked for a “sign” on what to do and the serendipitous events that followed took me away from the Bay Area community, to which I had contributed for many years as a media professional. I let go of the “home” I had there and ventured forth to finish a memoir about my Polish family, “Grace Revealed,” which, ironically, revolved around homeless Polish deportees during the 1940s. The concept of “home” has been so “up” for me. Where is it then? Within? Without? Deep down, somewhere in here, I am sure I know the answers to all these burning questions, and goodness knows, The Gods may have so many more important things to do than to continue appeasing me with “signs” from above, and indications on where to head to next. However, in the midst of a book tour for “Grace Revealed” in late winter of this year, one of those signs came to me in an email from a long-lost colleague who asked if I would tend to her young olive grove in Kula, Maui, while she and her husband were away for some time. What about my bright lights? Hollywood? Attention? (Trust me: even I know how cloying that sounds.) However, after agreeing to press PAUSE on my “career” and follow something completely different, my cravings are beginning to shift. I am learning how to slow down and tending to the olive trees is helping me do just that. But Maui is a special portal. Beyond presiding over olive trees, she has already unveiled many surprises. One of them is a rare haven called The Sacred Garden. 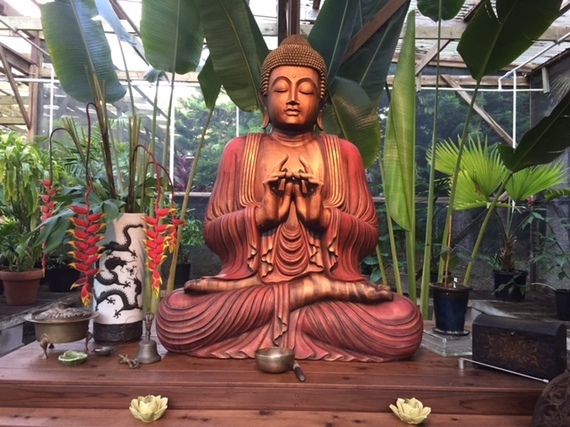 Overseen by Eve Eschner Hogan, who has penned a great many thought-provoking, bestselling inspirational books, The Sacred Garden is downright magical. Harmonic and Transformational come to mind, too, and Soul-evoking rises to the top of that list. So there I was recently in The Sacred Garden in a jungle in the middle of Maui, a journalist who in the past had problems stepping off that Fast Track. Yes, there I was, eager to participate in a Full Moon Labyrinth walk. About 50 people were in attendance and a harpist and violinist performed in front of magnificent Buddha statue prior to the group’s full moon walk. Eve–stunning with a wildly angelic mane of blond hair–welcomed the guests and spoke about the life metaphors that can be illuminated when walking the labyrinth. Some of you may be familiar with this practice. For instance, Bay Area residents may know that San Francisco’s Grace Cathedral boasts two labyrinths. Oak Park, Illinois’ Grace Lutheran Church has one outside of the building. Labyrinths can be traced back about 4,000 years ago. 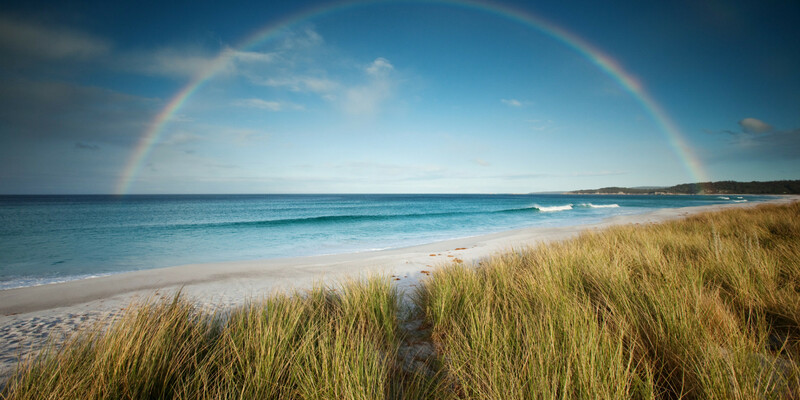 The idea behind walking it, is to begin with an intention in mind–clarity on something; guidance, you get the picture. From there, you move along the path and, well, you attempt to remain open-minded and notice what happens–what you think, what you feel. You notice the experience you are having. You observe. You experience yourself walking the path. 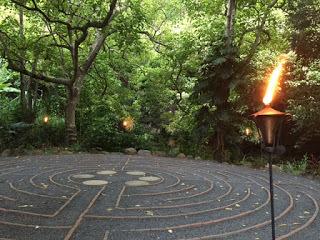 The first few times I walked the labyrinth back at Grace Cathedral, I was eager to get to the middle; to get inside the center of the labyrinth; to “get there.” To , find, Nirvana! Already. Please! NOW! It seems quite clear to me lately that that way may not be the way for me to walk my path. I’ve been tossed onto Maui for goodness sake. Something bigger is going on here. If only I can stay in the moment … here. Now. And, value what is–now. Not there. Not then. Here. This may not be spiritual rocket science. We know the drill. It’s implementing being in the Here and Now while you’re in the Here and Now that gets tricky. So there I was walking the path with about 50 or so other lovely strangers from all over the planet, underneath a vibrant full moon, whose moon beams glimmered through the jungle palms and banyan trees when, all of a sudden, my palms began to vibrate. I stopped moving for a moment, wondering if I would cause a bumper car-like collision behind me, and I lifted my hands. I wasn’t crazy. I felt the vibe. I felt the pulsation. Was it me? Was the energy I could have been picking up on within the labyrinth? Or both, perhaps? Where was I? Oh yes. The walk. The labyrinth. Remarkable. The following day, I returned to the garden. I meditated and pulled a few Angel Cards in the Meditation Room–The Love card. I walked the labyrinth again, with an intention of clarity and guidance for home and life path. This was during the day and two other people, a twentysomething woman and her boyfriend, were on the path, too. A few turns along the path later, I noticed that the woman had discarded the leaves she had collected. And then I realized how clear the path in front of me actually had become. In fact, I became truly aware that perhaps the young woman was not gathering the leaves to collect them like valuable coins. She was simply making the path clear(er). For me? For the path? For both? Not sure. The metaphor stood out: A path had been cleared at that moment in time. Could I benefit from realizing this? Could I see it, integrate it, be thankful for it and see the blessing? If we can just walk it, be in the moment, and observe, imagine the possibilities. More pathways soon. In the meantime, Mahalo from Maui.